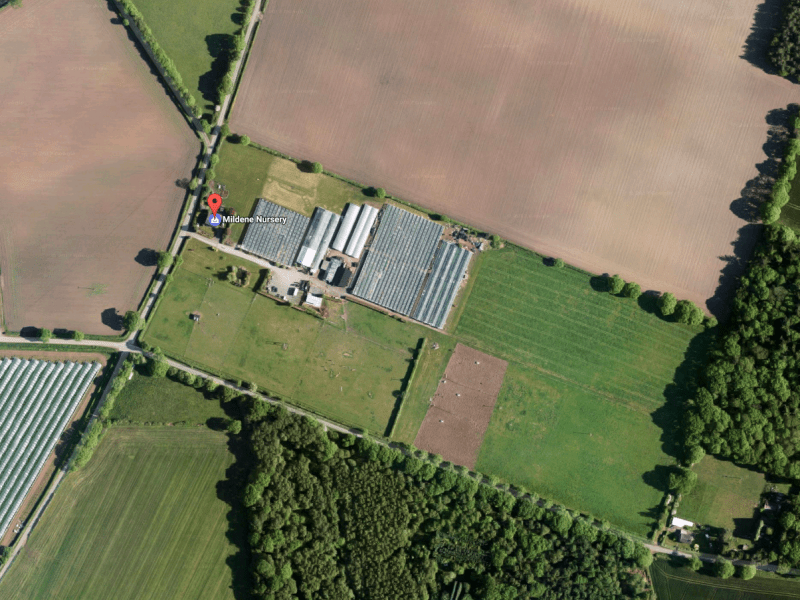 Situated 10 miles from Telford and Shrewsbury and approximately 8 miles from Newport, we have a 20 acre site here in Rural Shropshire. About 3 acres is made up of permanent polytunnels and glasshouses that we use during the growing seasons. We also have some lovely grazing land which is utilised by Mildene Pedigree Suffolks and Mildene Boer Goats very effectively. Living on site too means that Chloe and Mike are always available to ensure that things are running efficiently.